Carlo McCormick is a leading New York art writer and a champion of “the downtown scene”. For almost decades Jeffrey Deitch has been perhaps the most important taste maker and facilitator of emerging contemporary art in New York City and the world. 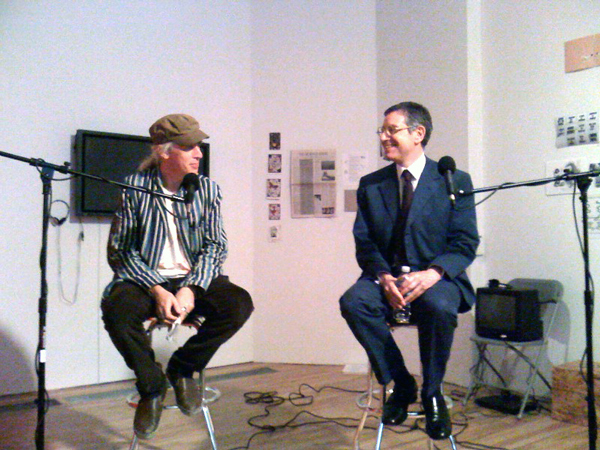 On the eve of Deitch’s departure from New York, Carlo will talk to Jeffrey about his time and legacy as one of the most visible, dynamic and controversial players in the the New York art world. Bad at Sports exhibition at apexart opens this week! With extra special guests!